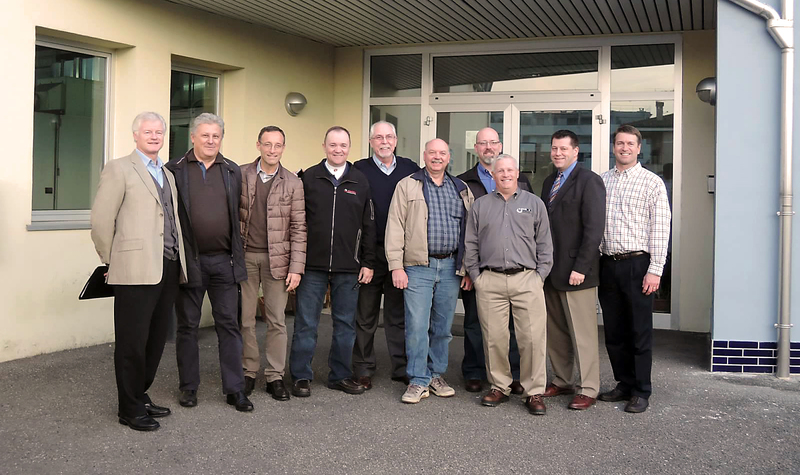 The Koepfer America Gear Technology Tour 2014 visits Rettifiche Resca, S.R.L. Koepfer America sponsored a group of North American gear manufacturers on a technology-focused “Italian gear tech tour.” The Gear Technology Tour 2014, which started November 16 and ended November 22, 2014, covered the latest Italian gear products to be introduced to the North American market. The group consisted of select representatives from the industry’s leading gear manufacturers who received a personal look into these companies as well as tours of several gear manufacturers, such as Corradini Giacomo Gears and OMIG Ingranaggi. The tour took place in the northern region of Italy where the country’s heart of manufacturing is concentrated. A key stop was to C.L.C., one of Italy’s fastest growing gear machine tool manufacturers. Remarked Mr. Roberto Cervi, President of CLC, “It was a pleasure to host such a great group of gear manufacturers. We truly welcome the opportunity to share the latest technology being developed and implemented in our factory.” Of particular interest to the group was CLC’s horizontal hobbing machines, which provide new options for the U.S. market. The tour highlighted these machines’ flexible customization that allows for the hobbing of long shaft-type parts up to 3 m (118”) in length. CLC’s gear shaping machines also presented a high-quality gear cutting solution that the group found intriguing. Lastly, the group visited additional gear manufacturing facilities, such as MELO Ingranaggi and STM. The tour also included cultural visits to the Lamborghini and Ferrari museums, a castle tour, and choice culinary experiences. In conclusion, the latest Koepfer America Gear Technology Tour was a success. It provided the North American visitors both a cultural experience of Italy and an intimate look at the country’s latest products and processes for gear manufacturing.